THE STORY - A brutal mugging leaves Grey Trace paralyzed in the hospital and his beloved wife dead. A billionaire inventor soon offers Trace a cure -- an artificial intelligence implant called STEM that will enhance his body. Now able to walk, Grey finds that he also has superhuman strength and agility -- skills he uses to seek revenge against the thugs who destroyed his life. THE GOOD - A fun B-level genre film that embraces how ridiculous it is while still conveying an important message to boot. THE BAD - The first 30 minutes are very hard to get through as the film has not yet embraced its campy premise and is stuck in dour melodrama. ​The first few moments of “Saw” creator Leigh Whannell’s “Upgrade” are the most intriguing as a computerized voice audibly announces the production companies associated with the film and the film’s title instead of displaying text across the screen set to some generic sci-fi techno music. However, that promise soon fades away a few moments afterward as characters appear on screen with dialogue that they have to actually speak and then you suddenly remember that…this is the guy who created “Saw.” This is also a guy who’s only other directing credit is "Insidious: Chapter 3," so it’s natural that there would be some hiccups along the way. That’s not to say “Upgrade” is a terrible film. Once settled into the film’s plot (Roughly thirty minutes in), Whannell finally finds his voice, embraces the film’s B-level campiness and manages to actually create a low budget sci-fi film that entertains despite its faults. Sometime in the not too distant future, technology has taken over our cars, our surveillance, our homes and pretty much every aspect of our lives. Grey Trace (Logan Marshall-Green) is a mechanic who prefers to still go about his life the old-fashioned way despite his wife (Melanie Vallejo) working for a high-end technology company. One night a flaw in their technology-dependent car results in an accident. Suddenly, Grey and his wife are pulled from the car and held at gunpoint by some unknown men. Both of them are shot leaving Grey as a quadriplegic and his wife murdered. Unable to cope with his new circumstances, Grey's friend, young billionaire and entrepreneur Eron (Harrison Gilbertson) gives Grey a gift. He implants within him a computerized chip known as Stem which gives Grey back his ability to walk again. He also comes to realize that the chip can speak to him, take over his body at his command and all other sorts of surprises. Realizing that he has this “upgrade,” Grey sets off with the assistance of Stem to track down the men responsible for killing his wife despite being tracked by the crime's investigator, agent Cortez (Betty Gabriel). “Upgrade” will probably go down as the best worst movie I will see all year. For multiple stretches throughout the film’s running time, I was left puzzled over whether or not anything I was seeing play out on screen was supposed to be of quality or not. I can honestly say that the dialogue and the acting are pretty atrocious and don’t ever get any better even though you can tell Tom Hardy…I mean Logan Marshall-Green, is trying very hard throughout. And there are times (Especially in the first act) where the film takes itself too seriously and loses its audience as a result. However, when Stem enters the film, everything changes and suddenly the film starts to find its groove. The theme of the movie also takes shape as this average mechanic who likes to work with his hands and has a disregard for technology, finds himself in a situation where he needs to embrace technology in order to live. The film is concerned about our reliance on technology and whether or not it is slowly taking over our lives. The social commentary is never too heavy-handed and Leigh Whannell is smart enough to end this movie on a high note (This is the same guy who gave us the famous ending to the first “Saw” after all). 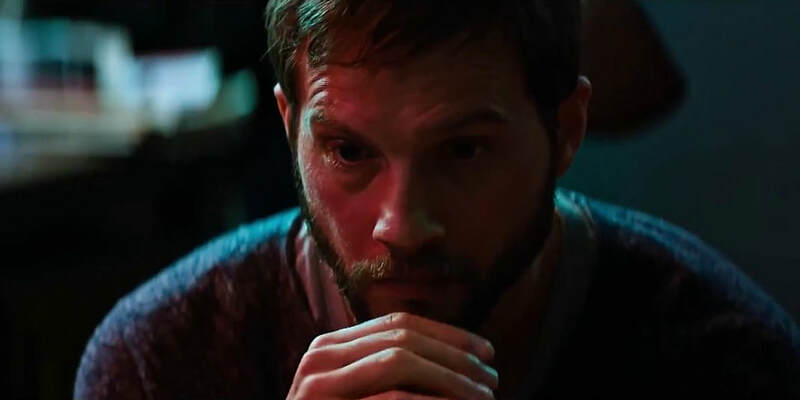 “Upgrade” is selling itself in the marketing as a sci-fi action film and while there are a few action scenes, this is no “John Wick.” Instead, this is more like “Looper” in terms of the drama: sci-fi: action ratio. The violence is shocking and the camerawork is certainly fluid. Logan Marshall-Green also is at his best when he’s resisting the urge to participate in the fight sequences and instead lets Stem take over. As I said though, these moments are very few. Don’t let that disappoint you though, there is a tremendous amount of fun to be had with this movie especially if watched either with your buddies at home or in the theater with a packed house full of strangers. The low budget production by Blumhouse Productions checks off all of the right boxes in terms of audience engagement (Sometimes good and sometimes awkwardly awful). Do I think it has the potential to create a franchise? Surely. This is probably destined to become a cult film no matter what and while nothing is ever truly spectacular, this leaves the window open for the eventual sequel to “upgrade” (*wink*) from this first installment and become something even better.